NOTE: This free version of Perfection is available for individual use. Educational Institutions, Clinics, Hospitals, and Rehabilitation Programs in English speaking countries: please purchase "Self Inflicted" through Human Relations Media where you will also receive a teacher’s resource book, student handouts and pre/post tests in digital format. "One confession: I don't want to confess to anything. I don't want to confess my secrets because they're supposed to be mine." A young woman fiercely protective of her secrets opens up in this award-winning documentary examining eating disorders in young women. Since its release in 2011, Perfection has been screened around the world, winning "Best Documentary" at the Virginia Student Film Festival in 2012, and is now being distributed by Human Relations Media to educational institutions worldwide. Perfection is powerful. It is an intimate, raw, and compelling portrait of a subject people far too often overlook, discredit, or forget about. A wonderful film that I personally found incredibly moving." Although the director was only 17 years old when she made this film, the movie is highly professional.Visuals are interesting and hold the viewer’s attention. The film should appeal to adolescents, and would be most appropriate for junior high and senior high media centers. Counselors and health teachers may also want to use for classes and discussion. College classes in psychology or education of counselors may also see value in showing this to their students. Differing from most of the distributors films, this production was created for students by students. 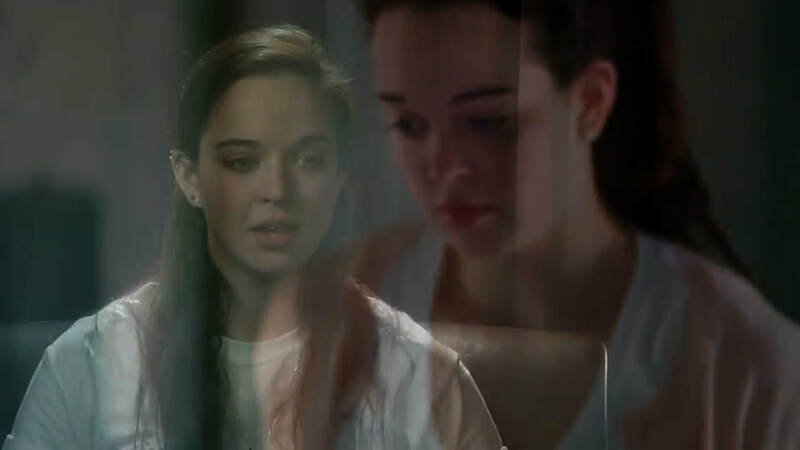 Each of the three young women featured describes and acts out her real-life eating or food disorder. The young women, Shannon, Steph, and Colleen, are all friends with director Monica Zinn, who made this documentary at the age of 17. At the end of the film, viewers learn that although each was seriously affected by her behaviors (which include not eating, using diet pills and other pharmaceuticals, and bingeing and purging), all are recovering and pursuing successful lives. Expert testimony is delivered by social worker Cheryl Hunsberger, who describes one common symptom to eating disorders: the desire to control the size of one's body. The authenticity of the presentations was undoubtedly a factor in this film winning the best documentary award at the Virginia Student Film Festival in 2012. Viewers will feel as though candid and thoughtful guest speakers have come to address a class. - Ann Weber, Bellarmine College Preparatory, San Jose, CA. 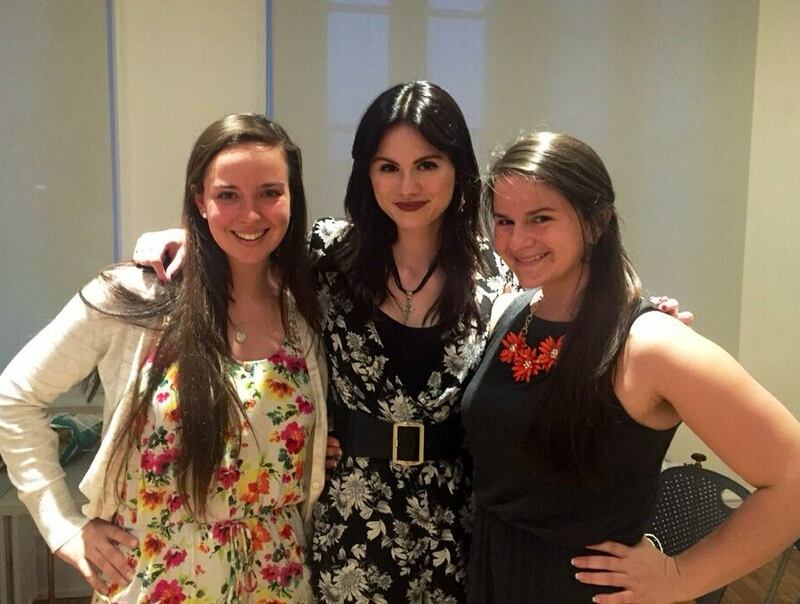 Shannon, Monica, and Steph at a screening of Perfection hosted by Active Minds at the University of Virginia. 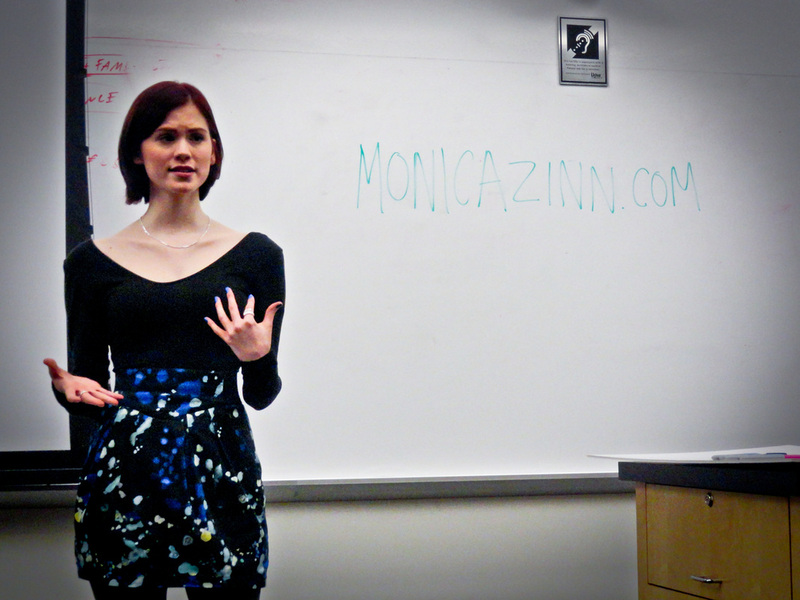 Monica speaking at University of Mary Washington for National Eating Disorder Week. © COPYRIGHT 2019 MONICA ZINN. TAKUSHI LLC. ALL RIGHTS RESERVED.